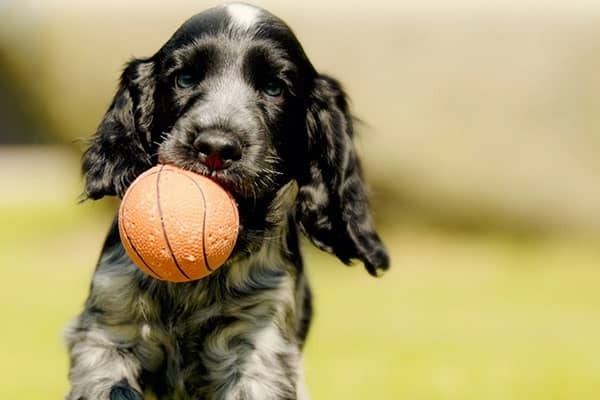 Does your doggie need more exercise? Does he or she get bored or lonely while you’re at work? Maybe your pet gets into mischief while home alone? Doggie daycare at Doggie Den Dallas is the ideal solution! Plus, of course, it’s tons of fun for your furry friend. Reservation required. Free Day of Play and Evaluation are subject to availability and cannot be combined with any other offer. Daycare discount applies to first-time daycare customers only. Our Amazing Dog Daycare Experience! 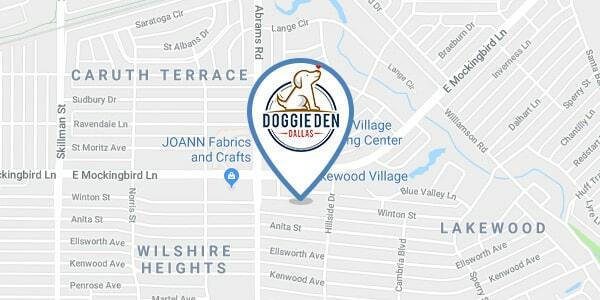 Doggie Den Dallas offers the biggest indoor/outdoor doggie daycare in the Dallas area, all of it designed for canine fun & safety. We’ll keep your dog exercised, socialized, and entertained while you’re at work or out of town! Special field turf for mud-free play! In our 20 years of operation, we’ve had the opportunity to fine-tune our daycare experience into the safest (and most fun) possible. Why Daycare is Beneficial- Beyond Fun! Veterinarians and industry experts agree doggie daycare is the ultimate outlet for canine fun and exercise. But did you know it provides a variety of important benefits not found anywhere else? Socialization is key. Dogs are social by nature, but their social skills need to be honed before they’re truly settled in with the pack. Doggie daycare is a constructive and supervised environment for dogs to interact with fellow canines of similar size and personality. Proper socialization is scientifically proven to lead to greater self-confidence and better overall behavior in dogs. Great source of physical exercise. Unfortunately, a daily walk isn’t enough exercise to keep most dogs healthy. 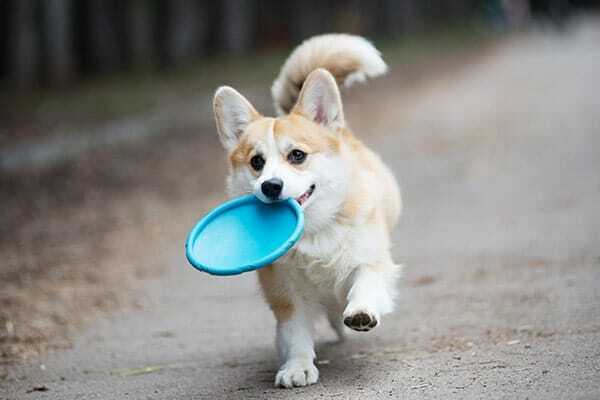 What better way to exercise your pup than drop him off at daycare before you head to work? After a day of romping and playing in our doggie daycare, your dog will feel satisfied and exercised come evening. Mental stimulation matters. Dogs were originally bred as our working partners, and a craving for mental exercise is embedded in their instincts. The benefits of the mental stimulation that come with structured play, human & canine interaction, and socialization in daycare can’t be overstated. Reduces destructive habits. When dogs get bored or lonely, they tend to develop undesirable behaviors. Have you ever come home to holes in the yard? Your favorite shoes chewed up? Scratches in the hardwood? The mental & physical engagement that come with daycare can help reduce your dog’s urges to act out.